Gauguin was a French Post-Impressionist artist who was not well appreciated until after his death. Gauguin is now recognized for his experimental use of color and synthetist style that were distinguishably different from Impressionism. His work was influential to the French avant-garde and many modern artists, such as Pablo Picasso and Henri Matisse. He was an important figure in the Symbolist movement as a painter, sculptor, printmaker, ceramist, and writer. Nowadays Gauguin paintings are rarely offered for sale, their prices reaching tens of millions of US dollars in the saleroom when they are offered. painter (1848-1903). Autograph letter signed. [Paris. 175 x 115 mm. 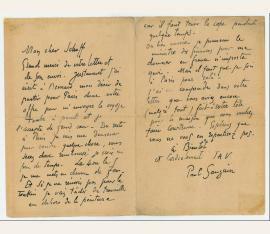 Single page (verso blank, with conjugate blank leaf) of about sixteen lines, written in Gauguin's delicate calligraphy. To Camille Pissarro, telling him that he does not expect to see him, as Pissarro has just moved, and that Durand-Ruel (the great art dealer of the Impressionists) has approved of Gauguin's series of canvases. He invites Pissarro to a dinner at which several young admirers of his work will be present: "Mon cher Pissarro, Je ne compte guère vous voir cette fois-ci à Paris vous venez de vous installer. Ma série de toiles a été trouvée bonne par Durand-Ruel mais avec cet homme on ne sait jamais à quoi s'en tenir. Samedi, Bertaux a invité plusieurs jeunes gens à dîner il aurait voulu vous avoir parce que dans la société il y a de vos admirateurs ; je crois que dans ce petit centre il y a pour plus dard quelque chose à faire. Venez donc vous repartirez Lundi. […]" - Mailing creases, but in fine condition..
French painter (1848-1903). Autograph letter signed. N. p. o. d. 8vo. 2 pp. on bifolium. 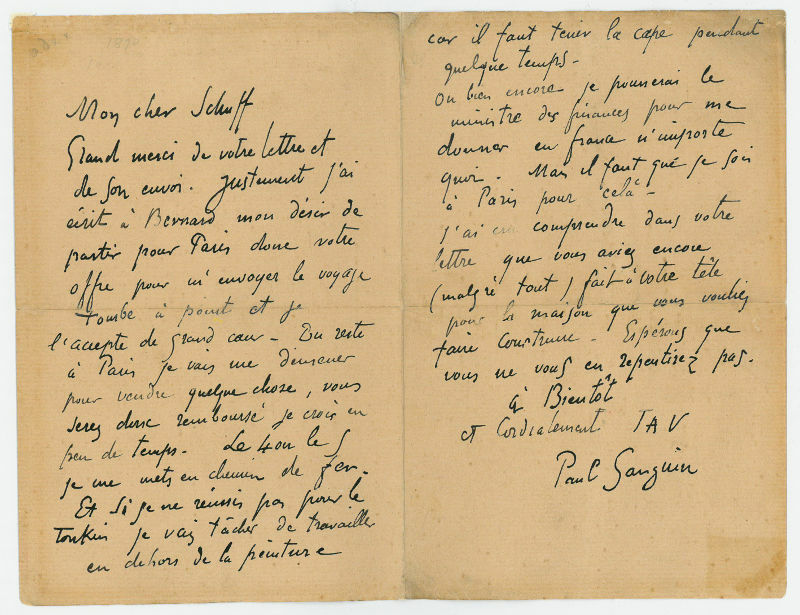 To Émile Schuffenecker, thanking him for arranging for Gauguin to travel to Paris by train: „Thank you very much for your letter and for sending it. 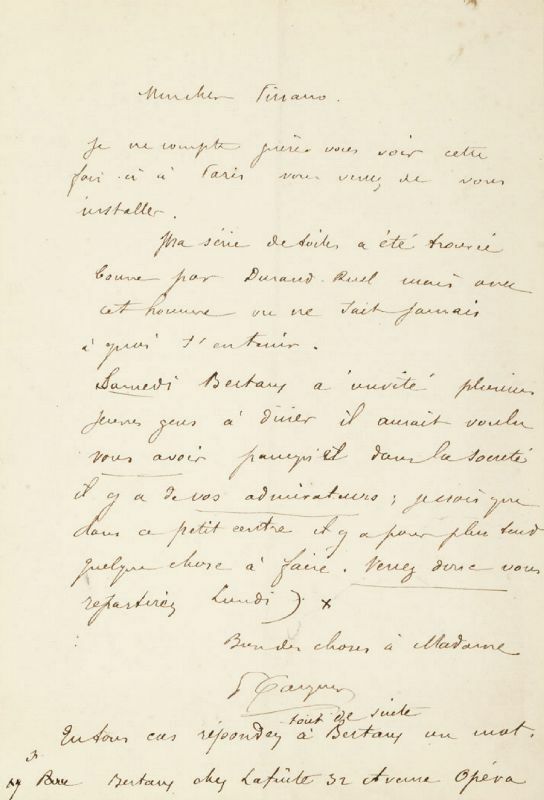 I just wrote Bernard about my desire to leave for Paris; thus, your offer to send me on the trip comes just at the right time and I happily accept it. Moreover, I will organize to sell something in Paris, and therefore you will be reimbursed within short time, I believe. On the 4 or the 5 I will take the train. And if I dont make it to Tonkin I will try to work outside of painting for some time because it’s necessary to hold course. Or I will rather push the minister of finance to give me something in France. But I would have to be in Paris for that. [...]“. - The French Post-Impressionist artist, painter, art teacher and art collector Émile Schuffenecker (1851-1934) was a close friend of Paul Gauguin and Odilon Redon, and one of the first collectors of works by Vincent van Gogh. 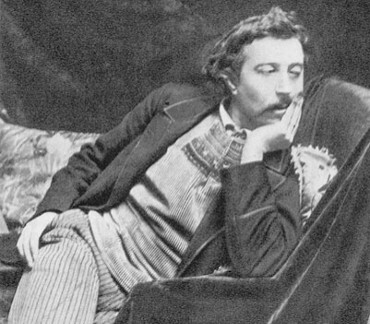 Until the early 1890s when Gauguin and Schuffenecker quarrelled, Schuffenecker gave great support to Gauguin, encouraging him to take up a career as a painter. He also had the idea for the 1889 Exhibition at the Volpini Gallery, a key moment in Gauguin's influence on young painters..
„Tahitienne assise“ („Sitzende Tahitianerin“). Eigenh. Bleistiftzeichnung. 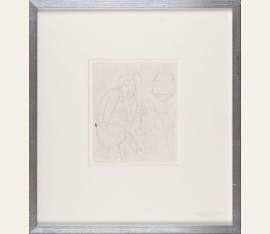 This piece was exhibited in Basel and Berlin in 1928, and again in Basel in 1949-1950. Provenance: Collection of Durrio Paco, Paris (until 1928), after which it was held in a private collection in Switzerland. 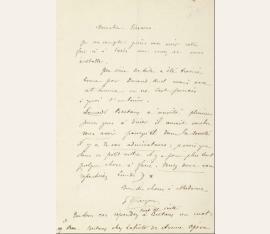 Accompanied by previous exhibition labels and a letter of provenance from the Wildenstein Institute, February 17, 2011, confirming that the present drawing is recorded in the forthcoming catalogue of Gauguin's watercolors and drawings. - Gauguin's 1891 trip to French Polynesia was spurred by a desire to escape European civilization and 'everything that is artificial and conventional.' Figures such as the woman depicted in this drawing dominated his artwork during this period, which presented an exoticized view of Polynesia’s inhabitants and is full of quasi-religious symbolism. His newly adopted primitivist style departed drastically from the European impressionism he left behind and came to define his legacy. A wonderful piece emblematic of this important period.